Ubisoft and EA have given the final word on when they'll take the stage for E3 press conferences in 2014. The two third-party publishing giants will have their media briefings on 9th June; EA will show off its latest projects first at 1pm Pacific / 4pm Eastern / 9pm UK / 10pm CET, while Ubisoft will put its best foot forward at 3pm Pacific / 6pm Eastern / 11pm UK / midnight CET. Neither company has illuminated much of what will be shown during the conference, unfortunately, but as is usually the case with E3 we can expect plenty of surprises. Hopefully these will include some Nintendo-specific announcements, as it has become a big concern for some Nintendo fans that third-party support has seriously started to wane on Wii U, in particular. We're yet to have the final word on Nintendo's plans for E3, meanwhile which is sure to send our hype meters into overdrive. Are you hyped for the inevitable bombshell announcements from two of the biggest third-party developers at E3? What do you hope to see from Ubisoft and EA over the course of the E3 extravaganza? Get ready to hear about a ton a Wii U games guys. Well, not that EA's any help. Only care about Ubi, EA can go bankrupt for all I care. The only game series they ever made worthwhile was MVP baseball. Other than that, they just repeat the same stuff over and over again. At least there isn't a "New" Super Mario Bros. game every year. I think the video game industry would be better off without EA honestly. They just dilute the game pool with shovelware and remakes every year. I'm probably in the minority, but I still like EA * shrugs * and I'm looking forward to both of these conferences. Hopefully Ubi shows us a lot more of The Division. The two greatest video game companies in the world have their E3 conferences on the same day? It's truly a gift from the heavens. @kensredemption As much as I want this to happen, I'd be shocked if they did announce it for Wii U. Which of course is a real shame. I'd probably buy it day one. I hate what EA has become, I do enjoy the games they make but they just have this superiority complex, and anti-consumer practices. I have already refused to purchase another Madden game until they quit complaining about development time and give us a new and experience worthy of a full price dollar tag. Besides this their multiplatform titles would do the Wii U a lot of good. As for Ubisoft well I hope we still get their support but I'm still annoyed with them about Rayman Legends, and Watch_Dogs. I wish EA would start making Wii U games again. I really enjoyed ME3 on the Wii U. I would have LOVED BF4 on the Wii U. This isn't really Nintendo news, since by the time E3 rolls around, Ubisoft won't be supporting WiiU any longer and EA hasn't in a long time. I'll be ignoring these conferences this year, as these are probably two of my least favorite companies in the industry right now (with Activision and Microsoft being right up there too). Unless BioWare has a game coming to Wii U, or they announce a Star Wars game for Ninty consoles, i'm uninterested in whatever EA has to say. Looking forward to Just Dance 2015. I don't expect EA to have any information that would benefit Nintendo, but I'm hoping Ubisoft will have show that they haven't given up on the Wii U yet. More info on Watch_Dogs would be nice, especially if they highlighted the differences in the Wii U version (although the more I think about it, the less likely that seems to me). I'll be pleased if Ubisoft shows any real support for the Wii U, even if only a little bit. @Spuratis I know, right? I mean, with the release of Dragon Age: Keep that ties our decisions to the Origin server, there's literally no excuse to leave the Wii U out of the loop with the next DA installment. To be completely honest, I'm not at all hyped about their presentation. And I'm a big PC gamer, so this has nothing to do with those companies overlooking Nintendo platforms. I'm eagerly awaiting for Child of Light, but Ubisoft just never seems to really wow me the way other companies do. And EA, well, LOL. @kensredemption Perhaps, but I think we'll most likely get which ever one is the PS360 game only and not the XBONE/PS4 one. You'd have to make a downgrade version for the XBONE/PS4 game in addition. This topic didn't need to be made, since Ubisoft and EA won't reveal anything for the Wii u (except for maybe ANOTHER Just Dance)! The only thing left for the Wii u are Nintendo's own games and a avalanche of upcoming e-shop games! That's just how it is! I hadn't noticed till now, but Ubisoft logo looks to me like a toilet flushing, seen from above. With that said, they have my money with the upcoming Child of Light. EA, on the other hand, got my last dimes when I purchased Most Wanted U, many months ago. No EA love? That's easy, Mad Men Football and Road Redemption are already delivering on levels EA could only hope to achieve. Does anyone even give a fudgy-pop about EA anymore? After so many unreleases, skips, disses, April Fool "jokes," unhonorary statements... where was I? Anyway, after Time Splitters, I was done with EA. The only good games that they even published that I was interested in was SimCity, the Sims, and Spore. I never found any of the other million games that they published worth it. EA will not have any Wii U games to announce & Ubisoft might toss one more Assassin's Creed game their way as well as the delayed Watchdogs but other than that I wouldn't be holding my breath. @2Sang Both as bad as each other. But EA has made games I really liked in the past but at least there are some (Road Rash and Desert Strike with sequels). edit Not tried South Park not sure I count that as Ubisoft though. Can't wait for the horrible, lame jokes and useless hashtags and social media junk. EA announcing a lot of Wii U ga--[bursts out in laughter]--oh my, this is--[laughs again]--[wheeze]--okay, I'm done, I'm... done. Okay, [coughs] now. I wonder what beloved franchise EA will ruin next? And if you think I'm over-reacting, I suggest you go look at Dungeon Keeper. Never forgive them for that, never. @Mineral Are you ready for a new SSX... as a Free To Play iOS Game!?!?!? Well i know what were going to get out of EA nothing thats how you treat partners alright. ubisoft well wiiu owners your watch dogs version is cancelled and assassins creed not for you try next year .but dont worrie your going to get just dance thats good enough.Im still thinking if this is good news or just a waste of time. @Mineral I'M SORRY, I CAN'T HEAR YOU OVER THE SOUND OF ALL THAT MONEY WE'RE MAKING FROM IAPS FROM ALL THE CHUM-er, CHUMS! THAT ARE BUYING THEM! BUT I ASSUME YOU SAID YES! Eh, I am currently disappointed with the mass effect and dragon age directions. Mass effect had that whole mess with the ending being bad and dragon age 2 was really lazily done. No reason to watch Ubisoft or EA's press conferences for me.They won't release any of the software that they show on Nintendo systems. Even with the 3DS doing moderately well it gets no 3rd party software.I will probable watch it anyway. When ever they say nothing about Wii U/3DS I will scream into the monitor. Hype? what hype? Sadly, there is now only 1st party hype for us WiiU owners ot look forward to. Any EA games I buy are used anyway. So whatever is announced I'll take my time playing. MY BODY IS READY...to be disappointed. I'm more looking forward to PS4's 3rd party tittles. Be realistic, the Wii U will not be getting and hard hitters from these guys. However I am excited for dem first parties. I have a feeling Nintendo is going to unleash the big guns! i kinda like to watch those 2 on stage. but thats kinda the closest ill get into their games. rayman legends is absolutely fantastic, though. I'm hoping to see some Battlefront 3 footage from EA, and a PS4 version of Plants vs Zombies Garden Warfare being confirmed. As for Ubi, well is Beyond Good And Evil 2 still a pipe dream? Or a 3D Rayman platformer? Im a tad burnt out on 2D ones, its time for the 3D platformer to make its comeback!! Ubisoft we should support no matter if the decide to skip Wii U or postpone a game, EA is a problem no matter what console. EA usually surprises me with what new franchises they come up with. I was hyped for PvZ Garden Warfare and Titanfall. Let's see if EA can bring us another excellent original title. @MamaLuigi We've seen no footage of Mad Men. For all we know, it could be a travesty. As for Road Redemption, it looks kind of ugly. Don't understand the hate...especially towards Ubisoft. These are the two largest 3rd party developers... you may not want to hear what they say, but most of us sure as heck want their games to come to Nintendo's consoles. I'm not really interested in either presentation. I'm hoping for a Capcom presentation announcing they've hooked up with Nintendo. I do wonder just how big of a presentation Nintendo will have. Due to all that has to be shown off at that point I can't imagine them doing anything but a live presentation this year. Last year there were two console showings. Everything they did there would have been overshadowed by Sony and MS. This year? There is so much to show off...that and there IS Zelda U. According to Aonuma we are supposed to hear SOMETHING about the game at E3. I am willing to bet that they will be trying to stir up an incredible reaction of the likes of 2004's Twilight Princess trailer had. Not just that, but there is a little bit less than two months from E3. Smash is going to get so much revealed within E3 especially with Smash on 3DS releasing in the summer. Bayonetta 2, X, and Hyrule Warriors are also meant to come out this year still last we heard. We are sure to get tons of information about those. This last half of 2014 for us Wii U and even 3DS owners are likely to be swamped with so much...this is also just a few examples and not counting any surprises I am sure will happen. I am sure Ubisoft will be at least a bit kind to the Wii U, but we will see. @2Sang And here people thought Nintendo is solely the ones doing such stuff. But yeah, I'd love to see EA go bankrupt. nintendo has so many great games coming this year ea will be a afterthought .. Stopped caring for EA, and Ubisoft is "meh" to me at the moment. What does EA have to do with Nintendo? Beyond Good and Evil 2 on the WiiU. That's the announcement I want from Ubisoft. I am hoping for Dead Space 4 from EA. No More Heroes 3 and Red Steel 3 from Ubisoft would also be nice. Let me ask YOU a question, at this point how many users on this site do you REALLY think give a flying [email protected]#$ what EA has to say? And ubisoft is equally on the s#$% list for delaying (and more than likely cancelling) watch dogs wiiu and skipping AC Unity. I hope nintendo doesn't wait until the last minute to schedule a time. Hasn't EA already said previously that they have no titles currently in development for the U? Out of the 65 comments before this, only 2 people mention 3DS. 2. Why is that? Why do people obsess over the WiiU's bad sales and bad support, and yet ignore fact that the 3DS is doing well. And no, EA and Ubisoft have nothing to do with the 3DS' success. So maybe we shouldn't care if they have nothing or next to nothing for the WiiU. The Japanese developers are going to provide the system selling content, not EA or Ubicrap. Shouldn't even be filed as Nintendo news. Because the 3DS is where it needs to be as a platform; it's doing fine, and will continue to do fine. But people want to see the same for the Wii U. Success means more 3rd party support, more games, more development resources, and that's a win for all Nintendo fans. It also benefits 3DS owners, since developers who are developing for the Wii U are also more likely to port a similar game to the 3DS. Tbh I only ever owned one Ubi game for Wii U, which was ZombiU, and it came with the system. Nothing ever captivated me from them, except maybe Rayman. EA could at least make more The Lord of the Rings games. Those games were decent as far as video game adaptations go. In regards to watchdogs I hope you are right, because i want to own it on wiiu. I do not want to have to get ANOTHER next gen system right now to play it. I wouldn't purchase it for PS3 or Xbox 360 and I sure as heck am not buying an xbox one ever. I have nothing against either one but I think they are both done with the U by now. In my wildest dreams EA would announce Dead Space Trilogy Remastered for Wii U and Ubisoft would bring some polished and properly optimized ports that take advantage of the hardware. Both have done reasonably good job on U, I think. Most Wanted U is polished enough to be a first party product, ME3 was great and I've played like 5-6 Ubisoft titles and they've been varying in quality but mostly great. It's probably too soon to see Visceral's Star Wars game and Beyond Good and Evil 2, but I'm looking forward to both these. Ubisoft have gone hard with new IP in 2012 and 2013, so really excited to see if they have another Watch Dogs/The Division type reveal. @AJSjedi Like I said. Watch_Dogs has been in development for so long it would lose more money than anything else. I could be wrong, but at this point I think fans would riot and demand them to finish whatever is left so as to not steal this game from Wii U just because it might not sell well. Okay. It WON'T sell well on the system due to the later release, but that is something they themselves have caused. As Nintendo fans we just need to show them we are going to support it as a way to convince them to keep up their own support of the console. I'll be more interested in what SEGA has to say with regards to supporting the Wii U.. and not just that awful looking Sonic Boom..
Watch_Dogs for Wii U will never come out imp. To everyone who seems to be pissed, sry about this but, none of this is to be put on either EA or UBIsoft. This is all Nintendo's doing for marketing their product as a bunch of school boys. If more consoles had been sold it would be a no brainer for the bigger companies to develop for it, not because the 3rd parties would like Nintendo and the Wii U more; but because it would be financially responsible. Though I love my Wii U and my 3DS, I don't fail to realize: Nintendo did this themselves and they did this to their fans. Then again. I buy Nintendo consoles for Nintendogames and the occasional jRPG and let be PC do the rest because after all; the Xbox1 and PS4 seems nothing more than a small PC with cool controllers and it's basically the same type of games roaming the 2 consoles. FPS on PC IMP! ok, to wait that news there will are in that day. Mass Effect Trilogy + ME4 on Wii U. Dead Space Trilogy + DS4 on Wii U. Star Wars: Battlefront 1+2 HD + SW:BF3 on Wii U. No More Heroes 1+2 HD + NMH3 on Wii U. Red Steel 1+2 (With online features) HD + RS3 on Wii U. 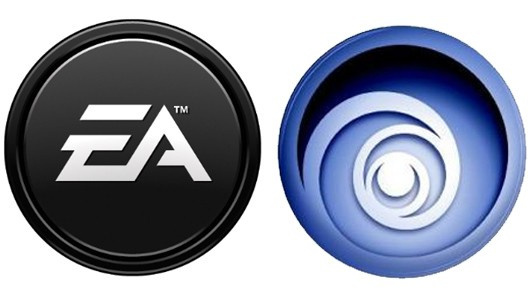 Most likely won't happen, but these are the only games I want from EA and Ubisoft. They can keep their played out year garbage, imo. i just can't stand EA. There one of the worst company i have seeing in a long time and thats saying something. "Will not be coming to Wii U"
I'll be interested to see what's happening with Ubisoft, last year's was one of their best especially due to Rocksmith 2014. EA on the other hand I have absolutely no interest in, the last game I bought which involved them is Rock Band 3. (that was only distributing too). E3 took steps to remain interesting and game focused a couple years back, when they tried not allowing booth babes and loud music, and seperated the event out on slightly smaller venues. Then industry people started saying it was "embarrassing" to bring investors and partners there, because it was as grandiose a show anymore. So they went back to being a thrill ride. I would much rather go to PAX than E3 the way things have evolved. Sorry, on topic: I'm sure Ubisoft has a couple delightful aces up their sleeves. Whether they'll be coming to Wii U or not is irrelevant at this point. A surprise new game (new IP from Mr Miyamoto or something else that I hope they´ve been working and kept secret) - We need this because everyone already expects and knows about everything else. As for the big titles... Well I don't think I will be plying them on my WiiU or 3DS, I'm just hoping that I may get Watch Dogs by the end of the year allthough it will be a hard decision by then when the Steam Version will cost like 10 and the WiiU-Version 60 or 70. And I doubt Ubi will show anything about the U-Version. @meatbinbanquet Fifa 15 3DS (Same as Fifa 12 but a roster update is a certainty maybe it will even get a proper update. It sells better than Pro Evo which is actually quite good on the 3DS as of 2013). @XCWarrior The 3DS gets good Japanese 3rd party support. They still get awful Western 3rd party support. The 3DS is not easy to port to, clearly, as noticed by the lack of games for it. Vita gets more games at times, mostly ports, because its easier to develop for. The only way Ubisoft or EA will develop anything for WiiU ever again is if Mario Kart 8 helps sell a ton of WiiUs. And they won't know those numbers for months, meaning this E3 will have nada for from American 3rd party support for WiiU. Ubisoft makes some real shetty games for 3DS. EA, however, has made some great stuff. I only have a 3DS, and Need For Speed is one of my favorite game series, so I don't care about Ubisoft. I wouldn't really care about EA at all, except that they have the rights to the star wars games and that's all thati want from them. Unfortunately I doubt that I'll be able to play any star wars games on my wii u. Oh well. Just sign in ad a new member all I can say go Nintendo! @lightfoot sorry for the typing error. I just sign in as a new member and all I can say is go nintendolife! As others have intimated. The big news will be on all the websites is that is No news about WiiU or 3DS from either. With the added special one time bonus of Ubi finally confirming Watch Dog has been cancelled and had been for the last six months. @lightfoot Welcome aboard I think you will like it here. It became my daily read 2 years ago and is a place full of nice people and really good news. Welcome aboard! Wey! This is my birthday! Hopefully we will get to see the new Mass Effect although I'm resigned to the fact I will be getting it on PC. EA, if Star Wars Battlefront gameplay is not at show, I don't care. Ubisoft, if Beyond Good and Evil 2 is not at least 'mentioned', I don't care. I don't ask for much, and still no deliverance from either of these companies in recent years. Not holding my breath this year. will watch Ubisoft's but not EA's!